Elvis Andrus reached base 4 times, homered, drove in 2 runs and stole home in the Rangers 8-7 come from behind win against Oakland. Josh Bell went 2 for 3 with a walk and 2 RBI and 2 runs scored as the Pirates edged the Nationals, 4-3. German Marquez took a no hitter into the 8th and finished with a complete game 1 hit shutout, striking out 9 Giants in the Rockies 4-0 victory. David Price blanked the Orioles over 7 innings, scattering 3 hits and striking out 7, to give the Red Sox a 4-0 win. Manuel Margot led off the game with a homer and added another hit, but the Padres were out slugged by the Diamondbacks, 8-4. Billy McKinney collected 3 hits, including a homer, but the Blue Jays were doubled up by the Rays, 8-4. Thomas Pannone came out of the bullpen to throw 3 perfect innings including an immaculate 3 strikeout 9 pitch frame, in the Blue Jays 8-4 loss to Tampa Bay. Jose Urena held the Phillies to 1 run over 7 strong innings. He would not factor into the decision as the Marlins dropped the 3-1 final in 14 innings. Aroldis Chapman is on pace to be one of the best ALL – Time Closers in the game. Toting a Career ERA of 2.08 – and a incredible 15.2/Per 9 IP SO rate, this man is about as hard to hit as they come. At entering the 2017 season at just Age 28, a 5 year deal worth $86 MIL is not as risky as it sounds. This organization is used to having elite Closers like him during their 23 year over .500 streak, so this is par for the course. Brian Cashman is handling the offseason like he should. If the brass can somehow pull off a few more trades, than I would really like the projections for future years. Aroldis Chapman inked a 5 year deal worth $86 MIL (or exactly 5 times the what the Qualifying Offer was this year.) New York didn’t have to pay the Cubs any compensation for the signing since he was traded to Chicago by these very Yankees at the Trade Deadline. The whole concept of trading players though the year, only to re-ink them after those said seasons, is a practice that MLB clubs have not done in the past. This is a common maneuver for NHL teams over the last 15 – 20 years, and we may it see it happen a whole lot more in future campaigns. Out of those 4 players. Torres may be the best down the road. He may also even free up the ability to deal a Starlin Castro or Didi Gregorius in the next few years. Yesterday won’t change much for the rankings. Although it kicked off interleague with the Royals beating the Mets 4 – 3, and starts the Junior Circuit looking to win the AL vs NL competition for a 13th straight year. Pittsburgh also beat the Cardinals. I have them both ending the year win 91 victories, but these squad’s really intrigue me. There are a multitude of reasons why I have picked the Cubs as the #1 team. I explain them in the writeup. Without surrendering any assets from the MLB club currently (with Dan Straily having been in AAA). 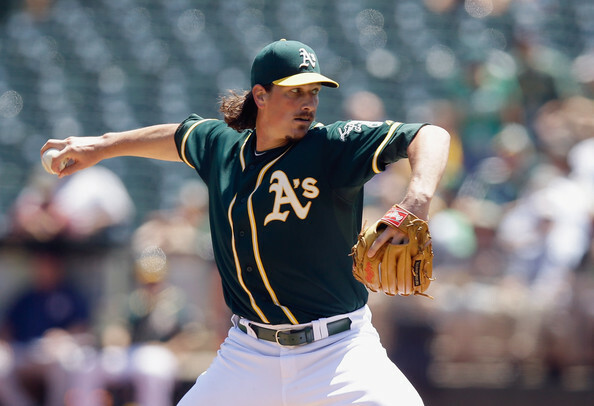 the A’s GM has made his move to anchor the Starting Rotation for a playoff run, by adding Samardija and Hammel. 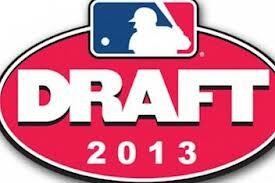 Going the other way are: Addison Russell (20) was a high prospect, as was Billy Mckinney (19) as the 1st RD Draft Pick of the 2013 MLB Amateur Draft, Dan Straily and cash compensation, or a PTBNL. With the team’s core becoming increasingly more expensive going forwards, the window to win is right now. The trade also helps deepen the starting staff, who have suffered season ending injuries to Griffin and Parker (TJ Surgeries). 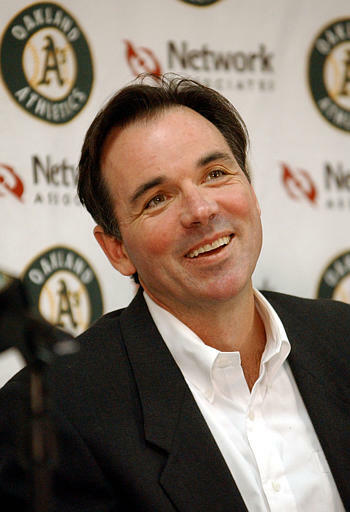 Billy Beane knows his current squad’s best chance to win the World Series now. He has upped the ante, by acquiring Jeff Samardzija and Jason Hammel from the Chicago Cubs for highly rated SS Addison Russell, SP Dan Straily, and young prospect OF Billy McKinney, with a player to be named later or cash finalizing the deal at a later date. I like this move…rather I love this move.